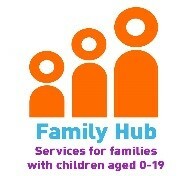 Thornaby Family Hub is here to provide services to families with children from 0 – 19 years of age. We deliver a wide range of parenting programmes, workshops, early years activities, baby massage and young person sessions and work in partnership with other agencies including health and midwifery. We are keen to engage further with the community and can offer bespoke sessions on or offsite if there is demand for it.